Use our service to compare excess protection insurance policies which can help prevent you getting stung if you ever need to claim. What are Insurance Excess Protection policies? When you make a claim on an insurance policy, there's usually an excess, the bit you have to pay before the insurer starts to pay up. 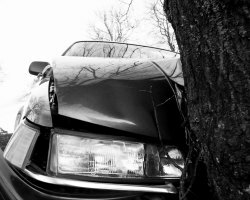 These excesses can vary and often policyholders decide to accept a higher excess in return for a lower premium, particularly for home or car insurance. Insurance excess protection policies reimburse you when you make a claim which exceeds the excess on the policy. Rather than taking out lots of individual excess protection policies for each main type of insurance: car, home buildings and contents, medical, pet, you can take out a single policy that covers all your main insurance policies. How do Insurance Excess Protection policies work? After you have made a successful claim against one of your main insurance policies that you have protected. Simply send off proof of the claim to the excess protection insurance company and they will refund your excess. Note, you must make a claim against the main policy in order to be able to claim. So if you have a £500 excess on your car insurance and the claim is only £350, you won't be able to make a claim against the main policy and therefore not against the insurance excess protection policy either. As these insurance excess policies pay out against a range of claims they are set up and priced to a total maximum cover level. This is the maximum the policy will pay out over all excess claims in the year. Cover is available from £500 to £2000. So, if you took out a policy with a £750 cover level, you would be able to reclaim up to £750 over the year which could be a single claim or a number of smaller ones. Policies last for a year or until your chosen claim limit is exhausted, whichever comes first. You must make a successful claim against a main insurance policy to claim on the excess insurance. All of the policies we have found require you to make a claim within 31 days of settlement of the claim on your main insurance policy. All have age limits which vary but none cover under 18s. None will allow you to claim for an event that has already taken place or you knew was liable to happen. The policyholder on the excess insurance must match the policyholder (or sometimes partner) named on the main insurance policy. All policies exclude dental claims under Health cover.